Following the decline in crude oil prices, which have fallen by over 50% since June 2014, Nigerian government revenue has in recent months decreased due to the country’s dependence on crude oil for both revenue and foreign exchange earnings. The slump in government revenue has put pressure on the country’s foreign exchange reserves and exchange rate, which was devalued twice within a space of six months. With huge dependence on imports and low contribution of the manufacturing sector to Gross Domestic Product (GDP), the CBN is faced with the daunting challenge of maintaining a stable exchange rate and increasing foreign reserve. In June 2015, the CBN restricted the sale of foreign currency for the purchase of 41 items in order to conserve foreign reserves as well as facilitate the resuscitation of domestic industries and improve employment generation. The recent policy, which seems to have had impact on small businesses in particular, though protectionist in nature, is largely unpopular, particularly among the business community due to its unintended effects on business transactions and output. 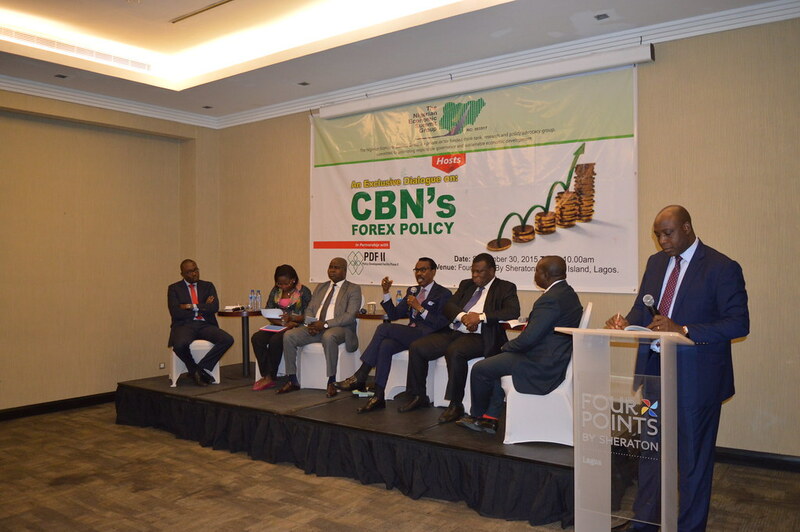 Held at Four Points by Sheraton in Lagos on September 30, 2015, the CBN Forex Policy Dialogue was aimed at examining the impact of the CBN’s foreign exchange policy on small and medium size businesses and citizens, with the view to gaining a better understanding of CBN’s plans and seeking alternatives and next steps. The dialogue began with an introductory session followed by a video presentation, panel discussion, presentation on unrecorded trade and financial flows, panel discussion II, participation from the audience and a rounding up by panelists. 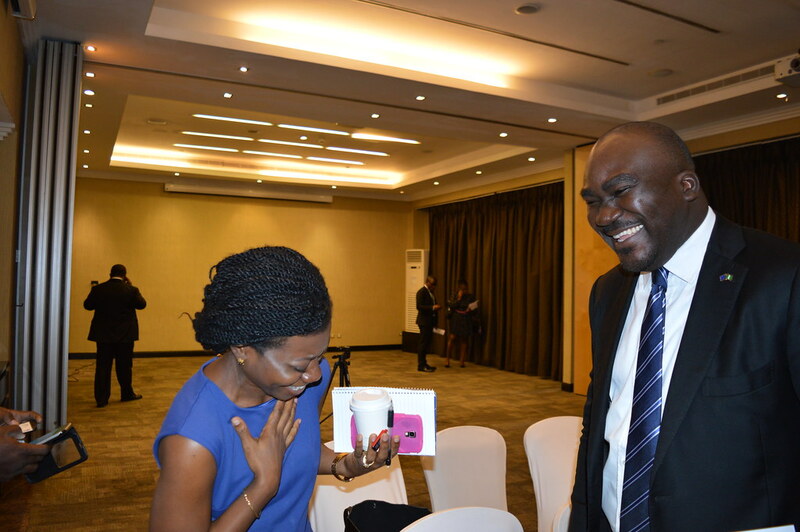 In attendance were business owners, economists, trade specialists and representatives from the Central Bank of Nigeria, Ministry of Industry, Trade and Investment, the Nigerian Customs Services, Business Associations, non-governmental organizations and development partners. The consensus of the dialogue was that there was lack of proper consultation with key stakeholders by the CBN before enacting the foreign exchange policy. Given the significance of the policy, stakeholders should have been consulted to obtain different views on the impact of the policy and determine the best policy option to attain its intended objective. 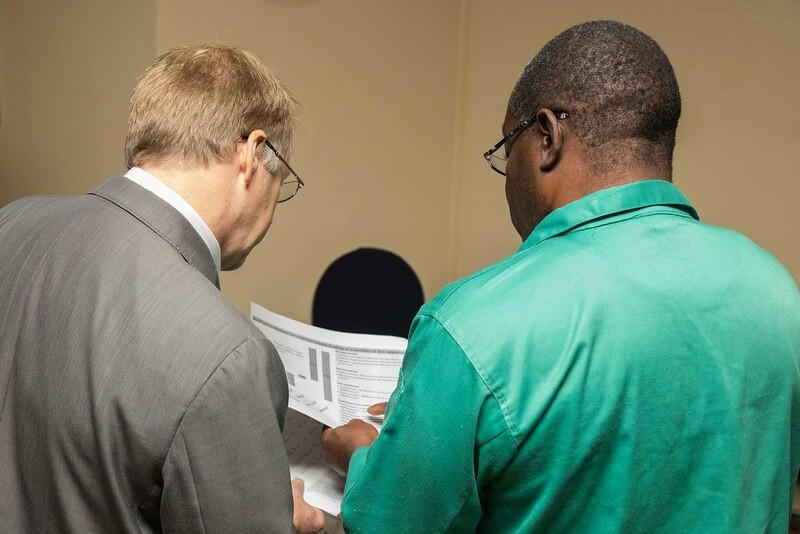 Furthermore, participants agreed on the need for collaborative efforts of policy makers, particularly the Ministry of Industry, Trade and Investment to ensure that industries have the appropriate incentives to stimulate local production to meet citizens’ demand, both in terms of quality and quantity. To achieve a sustainable economy, actions and policy statement of the CBN must be complemented by fiscal reforms, while Nigeria must adopt a structured and long-term approach in addressing key economic challenges confronting the nation. 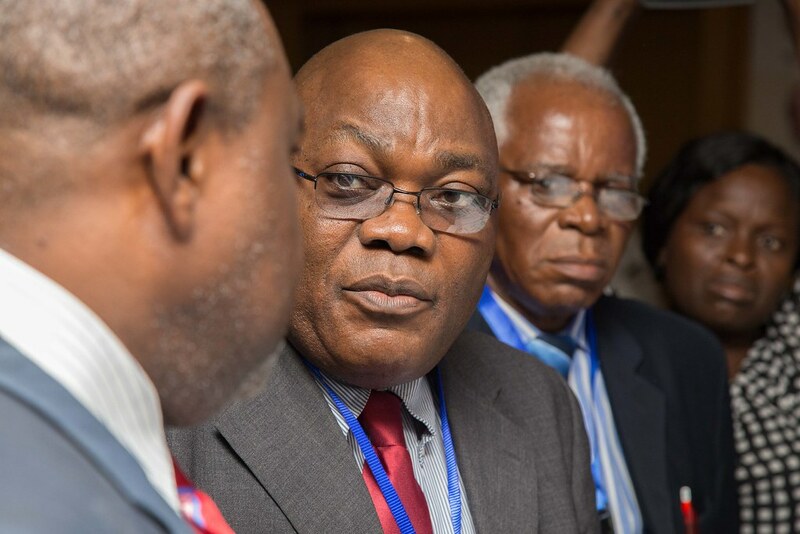 Click to view full report on the CBN Foreign Exchange Dialogue.